Particularly interesting were five young adult books presented by several book editors during the BEA Young Adult Editor's Buzz session on Tuesday, June 5. The editors each gave a brief presentation about their book and discussed why they thought it was especially buzz-worthy. The books' stories ranged from dealing with obesity and self-worth to weaving the fabric of life (literally) to hiding the truth about hybrids -- people with two souls that share one body. Book description: Find your voice. Hopeless. Freak. Elephant. Pitiful. These are the words of Skinny, the vicious voice that lives inside 15-year-old Ever Davies's head. 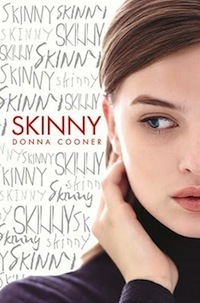 Skinny tells Ever all the dark thoughts her classmates have about her. Ever knows she weighs over three hundred pounds, knows she'll probably never be loved, and Skinny makes sure she never forgets it. But there is another voice: Ever's singing voice, which is beautiful but has been silenced by Skinny. 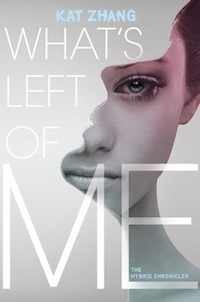 Partly in the hopes of trying out for the school musical -- and partly to try and save her own life -- Ever decides to undergo a risky surgery that may help her lose weight and start over. 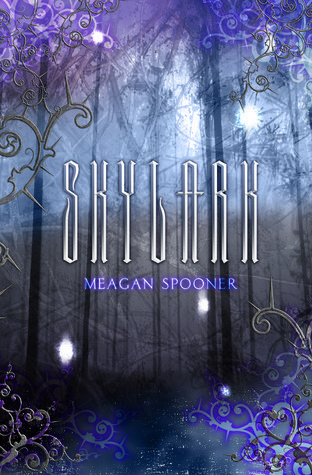 Book description: 16-year-old Lark Ainsley has never seen the sky. Her world ends at the edge of the vast domed barrier of energy enclosing all that's left of humanity. For 200 years the city has sustained this barrier by harvesting its children's innate magical energy when they reach adolescence. When it's Lark's turn to be harvested, she finds herself trapped in a nightmarish web of experiments and learns she is something out of legend itself: a Renewable, able to regenerate her own power after it's been stripped. Forced to flee the only home she knows to avoid life as a human battery, Lark must fight her way through the terrible wilderness beyond the edge of the world. With the city's clockwork creations close on her heels and a strange wild boy stalking her in the countryside, she must move quickly if she is to have any hope of survival. She's heard the stories that somewhere to the west are others like her, hidden in secret -- but can she stay alive long enough to find them? 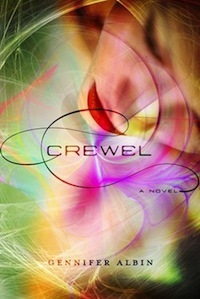 Book description: Incapable. Awkward. Artless. That's what the other girls whisper behind her back. But 16-year-old Adelice Lewys has a secret: she wants to fail. Not that her feelings matter, because she slipped and wove a moment at testing, and they're coming for her--tonight. Because once you become a Spinster, there's no turning back. 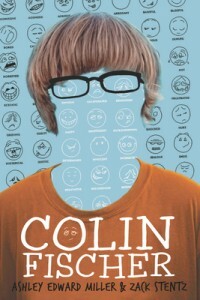 Book description: Colin Fischer cannot stand to be touched. He does not like the color blue. He needs index cards to recognize facial expressions. But Colin is Wayne Connelly's best--and only--hope of proving his innocence after Wayne is accused of blowing up a birthday cake in the school cafeteria. Colin and Wayne quickly set off on a journey to prove Wayne's innocence, but neither realizes just how far their investigation will take them or that it will force Colin to consider the greatest mystery of all: what other people are thinking and feeling. Colin Fischer is a modern-day Sherlock Holmes. He's a boy with Asperger's syndrome who sees clues in the unlikeliest of places, and whom readers will root for right up until the case is solved... and beyond. For the past three years, Eva has clung to the remnants of her life. Only Addie knows she's still there, trapped inside their body. Then one day, they discover there may be a way for Eva to move again. The risks are unimaginable-hybrids are considered a threat to society, so if they are caught, Addie and Eva will be locked away with the others. And yet... for a chance to smile, to twirl, to speak, Eva will do anything.